According to Ayurveda, Prameha is of 20 types. Diabetes is one among them called Madhumeha. All the diseases that come under Prameha are characterized by polyurea. 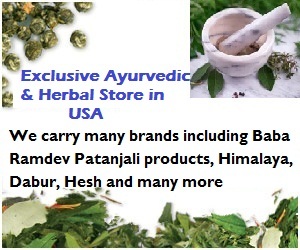 Ayurveda has said that one should do regular and suffer hardships. Ayurvedic texts say that diabetes patient should do hard works like digging a well and pond, walking long distance and doing asana. From this we can understand that from ancient time onwards it was known be a disease of lazy people and they knew the importance of exercise in this disease. The role of medicine comes only last according to Ayurveda. Ayurveda mentions many medicines like Chandraprabha vati,Nisha Kathakadi kashayam are very effective here. Curry leaves - Leaves are taken, dried and powdered and taken after food, morning and evening. Fenugreek (Methi) - Methi is a good medicine for diabetes. It can be taken by the following ways. * 1 teaspoon of powder taken in empty stomach early morning. * The fenugreek which is kept in water overnight is taken along with the water. Gooseberry (Amalaki) - Drinking 15ml of Amalaki along with 5g of turmeric powder (Haldi) can cure Diabetes soon. It can be taken twice a day in empty stomach. It should be noted that these medicines will have varied results in different individuals. All diabetic patients should have knowledge of their disease. This knowledge will help them to keep them selves away from factors that increase their disease. They should also keep in track of the latest development in treating diabetes. A good knowledge about diabetes and its complication can help them from future troubles. Chronic Diabetes can affect Eyes (Diabetic retinopathy),Nervous system(Diabetic retinopathy),it also lead to delayed wound healing. So know Diabetes and its nature. The most important herbs for all doshas are shilajit, gudmar turmeric, neem, amalaki, guggul, and arjuna. Turmeric with aloe vera gel is best used during the early stages of diabetes for regulating pancreas and liver functions. I don't have any kind of desease, but thanks for the info, I'll past It to some I know who have this desease but It's already well informed but I want to share what I do, well I'm a regular person who work and live peaceful as many, I do excercise everyday (1 hour) I eat healthy as I can and I sleep around 7 hours every night and I'm a programmer. according to some scientific studies diabetes can be totally inherited, for this reason is a good choice before you decided to het children make some medicals checks to avoid a lot of suffer to your child. In Ayurveda there is proper medicine for diabetes. but we have to consult with Good Ayurvedic physician. Interesting, well I guess this a good advice for people that suffer this disease. It is indeed a very important issue, diabetes is a serious condition. Ayurvedic medicine treatment has proved time and again that it helps people relax and calm down,and face the challenges of everyday life better.